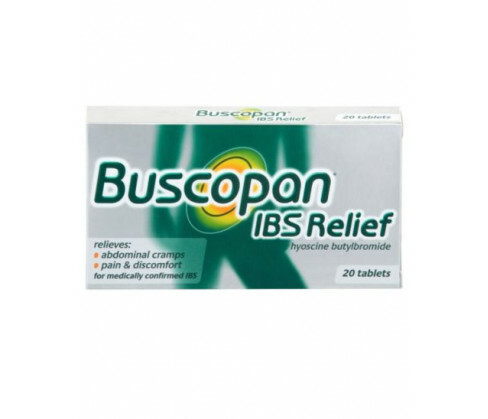 Buscopan IBS Relief tablets are antispasmodics, containing Hyoscine Butylbromide that gives you relief from the discomfort and pain due to abdominal cramps arising as a result of Irritable Bowel Syndrome. 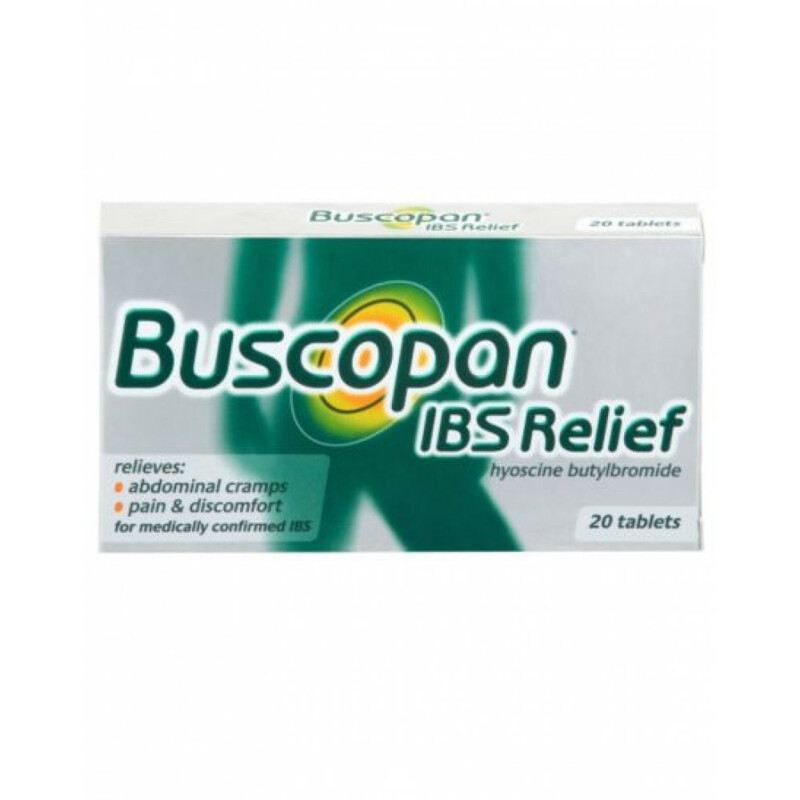 It relaxes the bowel muscles so that the spasm could be stopped. Children below 12 years of age should avoid this medicine. Do not use if you are suffering from Glaucoma, Myasthenia Gravis a rare case of muscle weakness, Megacolon, excessively nlarged colon, or if you are hypersensitive to Hyoscine Butylbromide or some other ingredient. Never store above 25 degree. Keep product in its original packaging. Keep it safely away from children. Adults or children above 12 years of age should take initially one tablet thrice daily. If you are experiencing acute pain you may need to increase the dose and you can take at the most two tablets four times daily. Do not chew the tablet swallow it instead. Active ingredient is 10mg of Hyoscine Butylbromide). Some other ingredients include Maize Starch, Calcium Hydrogen Phosphate, Colloidal silica, Soluble Starch, Stearic Acid, Tartaric Acid, Talc, Povidone, Sucrose, Titanium Dioxide, Acacia, White Beeswax, and Caranauba wax.